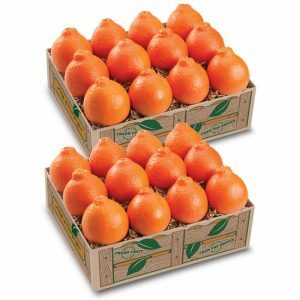 1 gift tray of our newest citrus, the plump and easy-to-peel Mandarin Orange. 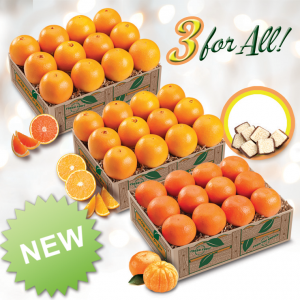 Plus, with every gift, you’ll receive a FREE GIFT of 6 creamy, chocolatey Coconut Patties! 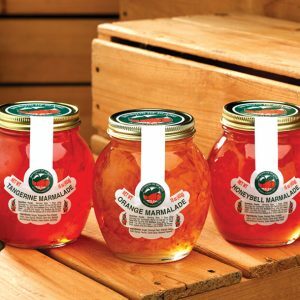 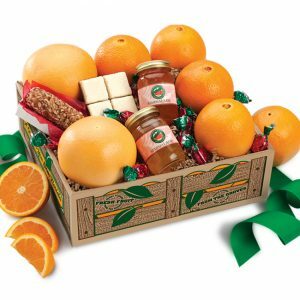 The sweetest Navel Oranges, plump and juicy Grapefruit, a nougat-filled Pecan Log, creamy chocolate-dipped Coconut Patties, hard fruit candies and two jars of genuine Marmalade. 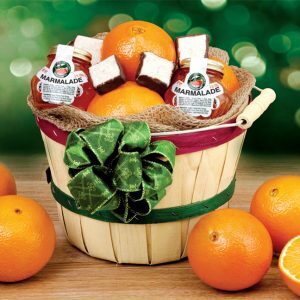 You’ll discover lots of Florida flavor in this valued-priced gift. 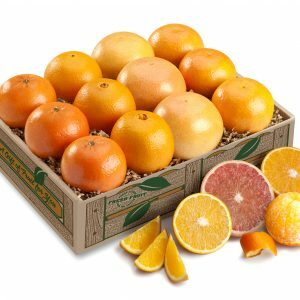 Four of our most favorite citrus flavors are in season just in time for holiday gift-giving. 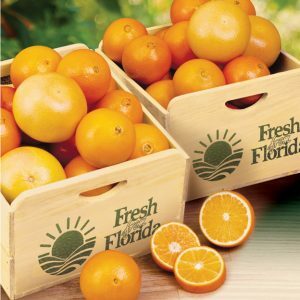 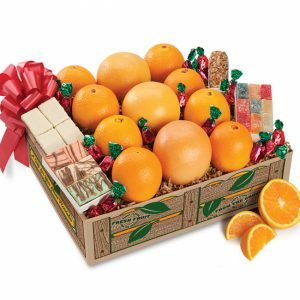 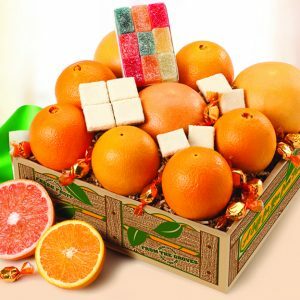 You get three each of Navel Oranges, easy-peel Tangerines, Ruby Red Grapefruit and extra sweet Hamlin Oranges, all picked at the peak of perfection and packed in one delicious gift!